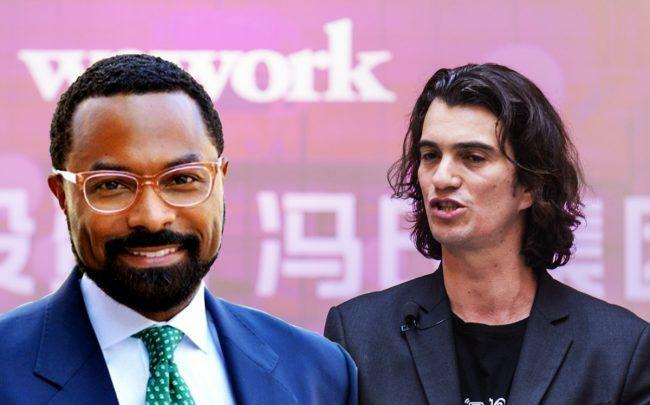 WeWork has hired former Newmark Knight Frank executive Craig Robinson to help lead its Powered by We division. Robinson previously worked as CEO of global corporate services at Newmark and will serve as global head of enterprise services for Powered by We, the company told The Real Deal. He will oversee services including project management, facilities management and design services for Powered by We clients in the newly created role. Robinson said he left Newmark a few months ago and took some time off before joining WeWork. He described the role as an opportunity to apply more innovative thinking to the real estate world than he could have at a more traditional company. Robinson came to Newmark last spring from Colliers, where he served as president of the company’s U.S. region. Prior to that, he was president of corporate services at Cassidy Turley. WeWork’s Powered by We division analyzes the needs of companies and then designs, builds and operates what it describes as the “optimal environment” for them. The team currently about 350 employees for close to 40 customers. Powered by We generated about $13.7 million last year, WeWork said. It landed its biggest design deal this summer to renovate the UBS office in Weehawken. Work on the space will begin next year. The division has also worked on a location for Sprint in New York City. WeWork recently announced it had become the largest office tenant in Manhattan, surpassing JPMorgan Chase. Days later, it notched another new lease for 60,000 square feet at 511 West 25th Street in Chelsea, bringing its Manhattan portfolio to 5.3 million square feet across 50 locations. Robinson said he wants to aggressively expand the company’s Powered by We division.